In order to meet the varied necessities of our prestigious patrons, we are involved in offering a wide range of Automotive Rubber Gasket. Our range of gasket includes metallic gasket, soft gasket in non asbestos based cellulose/aramid material and sandwich gasket. - Excluding Any Layer Increases The Risk Of Leaks, Power Loss, And Engine Wear. We are one of the most prominent manufacturers of a qualitative range of Gaskets. These are mechanical seals, which fill the space between two interfacing surfaces, generally to prevent leakage from or into the joined objects while under compression. 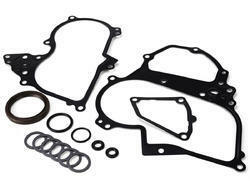 Notable for their premium quality, durability, exacting specifications and impeccable functionality, these gaskets are sought after worldwide. We manufacture and export qualitative Silicone Tri Clamp Gasket. These are offered with collar for a better grip and available without this option. These are widely use in the industrial segments such as hydraulic machinery, commercial vehicles, components and assemblies manufacturers and tractors & farm machinery. 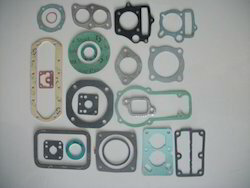 We are the leading manufacturer of a wide range of Gasket to our customers.